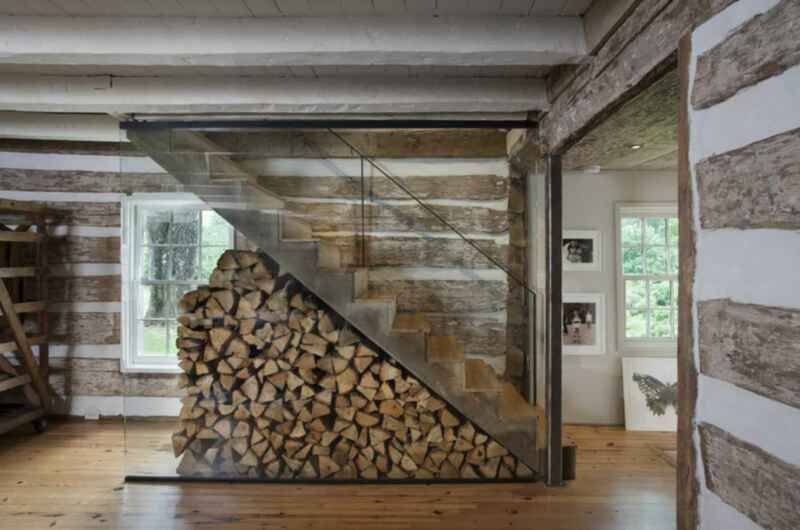 The attic stair enclosure was removed in deference to - and in order to visually expand - the original one-room log cabin. Wood floors, partially ravaged by termites, were repaired and refinished. The interventions of new steel structure, simple black iron handrail and glass stair guard provide a distinct counterpoint to the rusticity of the original construction, while the color palette of warm, natural tones harmonizes the composition.